90-95 NISSAN 300ZX UPPER INTAKE PLENUM MANIFOLD IN GOOD WORKING CONDITION PULLED OUT OF 1992 NISSAN 300ZX NON TURBO WITH 93K ON. If unsatisfied with the. JDM NISSAN FAIRLADY Z (Z32 300ZX 1990-93) VG30DETT INTAKE MANIFOLD COLLECTOR, Genuine OEM used in great conditions. NISSAN part number: 14005-30P00. Application: 1990-1996 VG30DE & VG30DETT. Viton Rubber Balance Tube O-Ring Kit. Off a 1985 Nissan 300zx 2 seater with manual transmission. Upper Intake manifold for the Nissan Z32 300ZX. In good condition. Throttle bodies are not polished. Plenum is very shiny for the most part. Pitting in the tighter hard to reach spots, some flaking. EGR has block off plates that can be removed. Will fit 90-93 Z32's or 90-96 Z32's if you do not plan on reconnecting your EGR system. Fully tested and not broken or cracked.1993-1996 NA 1994-1996 TT. Removed from a 1996 300zx twin turbo car with 79k. OEM Nissan V6 3000 VG30E Upper Intake Manifold Assembly - 300ZX ? This was in a unit full of Nissan Z parts. One used Nissan V6 3000 upper intake manifold. Otherwise, what you see is what you get! Off a 1987 Nissan 300zx 2 2 non turbo with automatic transmission. OEM Nissan 300ZX Z32 Early Style Lower Plenum / Intake Manifold. Great shape. Parts washed & ready to bolt on. 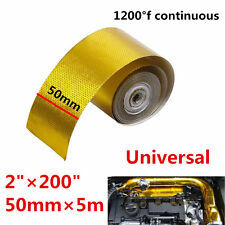 30P Early Style therefore its original to 1990-1993 NA cars & 1990-1994 TT Twin Turbo cars. Great Condition, Intake Manifold are Hot Tanked and Sand Blasted. Came off a 1990 300zx twin turbo. I've had it sitting around my garage for about a year. It's a little dirty but in perfect condition. No cracks or chips in it. I have tons of other Nissan an infinite parts for sale. 300zx, 350z, 370z, G35, G37,Q50 an Q60 parts. An hundreds more waiting to be listed. If your looking for anything please check my other listings. Or message me an I will get back to you quickly. DONOR VEHICLE :1990 NISSAN 300ZX (2 2) NON-TURBO. INTAKE MANIFOLD. QUALITY: OEM. Our warranty is forPARTS ONLY. 1984-1986 Nissan 300ZX Models VG30E Non Turbo Complete Intake Manifold Assembly In Great Working Condition, Has Been TESTED And Is Fully Functional, Was Removed From A Donor Vehicle With A Great Running Engine, We Did Take A Video Of The Engine Running Great. Aspired Engine(VG30DE) Manual Transmission. 1990 Nissan 300ZX (T-Top) 2 0 3.0L V6. Your item will arrive promptly. We will do our best to make sure you are satisfied. See Pictures For Compatibility & Condition. 1990-1992 Nissan 300ZX Non Turbo Models VG30DE Complete Intake Manifold Assembly In Great Working Condition. 1 of the 6 mounting bolts for the fuel rail is broken as shown in picture no.4 however does not affect its performance. Nissan 300zx Z32 OEM air intake manifold Balance Tube. For twin turbo but can also be used on NA non turbo. Paint it yourself for that sweet new look or powder coat it. Nissan 300zx Z32 OEM intake manifold Air Balance Tube. For twin turbo but can also be used on NA non turbo. "Beck Arnley Intake Plenum Gasket --. Condition : New. Therefore all implied warranties that may apply to your part are limited to the duration of this written warranty. Each warranty gives you specific rights, and you may have other rights which vary from state to state. 90-95 NISSAN 300ZX MANIFOLDS HEADERS WITH HEAT SHIELD SET IN GOOD WORKING CONDITION PULLED OUT OF 1992 NISSAN 300ZX TWIN TURBO WITH 89K ON. If unsatisfied with the. 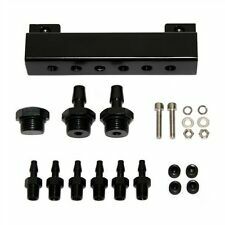 OEM THROTTLE BODY MOUNTING BOLT SET FOR 1990-1995 NISSAN 300ZX. JDM NISSAN FAIRLADY Z (Z32 300ZX 1990-96) VG30DETT INTAKE MANIFOLD COLLECTOR, Genuine OEM used in great conditions. NISSAN part number: 14005-40P01. Six ( 6 ) usable 1/8 NPT ports. Ports: (6) 1/8 NPT. Precision CNC machined from 6061-T6 billet aluminum. Material 6061-T6 Billet aluminum. Color: Clear, Polished. 90-92 NISSAN 300ZX LOWER INTAKE PLENUM MANIFOLD IN GOOD WORKING CONDITION PULLED OUT OF 1992 NISSAN 300ZX NON TURBO WITH 93K ON. LOWER INTAKE PLENUM WILL FIT ONLY 90-92 YEAR, STAMPED 30P. If unsatisfied with the. Six ( 6 ) usable 1/8 NPT ports. Ports: (6) 1/8 NPT. Precision CNC machined from 6061-T6 billet aluminum. Material 6061-T6 Billet aluminum. Color: Blue. Title Fit Nissan Fairlady Z32 300ZX Twin Turbo Dual Air Intake Induction Filter Kit. 1990-1996 Nissan 300ZX Turbo Model Only. Performance Cold Air Intake Induction System Filter. Improves Throttle Responses Throughout RPM Bands While Maximizing Airflow Induction Into Engine. Six ( 6 ) usable 1/8 NPT ports. Ports: (6) 1/8 NPT. Precision CNC machined from 6061-T6 billet aluminum. Material 6061-T6 Billet aluminum. Color: Titanium. Used item/prior repaint/see pics for condition report. Six ( 6 ) usable 1/8 NPT ports. Ports: (6) 1/8 NPT. Precision CNC machined from 6061-T6 billet aluminum. Material 6061-T6 Billet aluminum. Color: Purple. Includes 3/4" Boss plug, (2) 3/4" boss to 3/8" barbed hose fitting, (6) 1/8" NPT fittings, (4) 1/8" NPT plugs, and mounting hardware. Six ( 6 ) usable 1/8 NPT ports. Ports: (6) 1/8 NPT. Precision CNC machined from billet aluminum. Six ( 6 ) usable 1/8 NPT ports. Ports: (6) 1/8 NPT. Precision CNC machined from 6061-T6 billet aluminum. Material 6061-T6 Billet aluminum. Color: Red. Six ( 6 ) usable 1/8 NPT ports. Ports: (6) 1/8 NPT. Precision CNC machined from 6061-T6 billet aluminum. Material 6061-T6 Billet aluminum. Color: Black. It is in good condition. Ready to install on your car. Up for sale is a great working order intake air balancing tube from a 1990 to 1996 Nissan 300ZX. 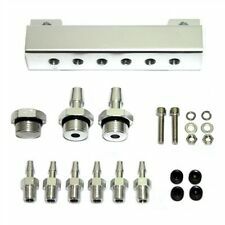 Works On Stainless Steel & Aluminum Materials - Cars, Motorcycle, Exhaust, Headers, Piping, Manifolds, Wiring, Etc. Made From Silicated Based Fibers With Special Coating To Be Able To Resist High Temperature Heat.